Sold as a PAIR these units make the front female seat belts sit upright so you do not need to reach for the seat belt. 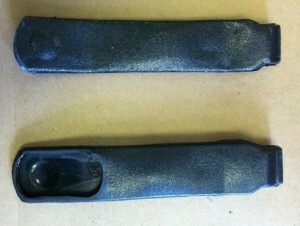 We had these tooled up and were tooled using the mid 70's donor units from a Trans Am. 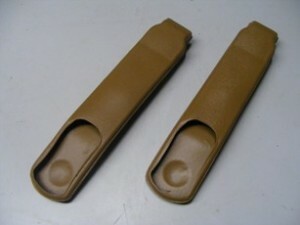 They fit and function excellent on the 78-81 model with block style seat belt cap covers.